McSAF’s team will be attending next World ADC Summit Europe, London. We will present our last results on patented technology. McSAF is presenting at the 5th Antibody Industrial Summit, co-organized by MAbDesign, MAbImprove & Polepharma, June 27-28, in Tours, France. 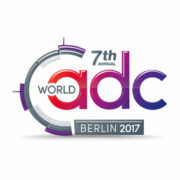 McSAF’s team will be attending next World ADC Summit Europe, Berlin, . McSAF’s team is pleased to announce its attendance at Bio-Europe from November 7-9, 2016 in Cologne, Germany. BIO-Europe is Europe’s largest partnering conference serving the global biotechnology industry which hosts more than 3,500 professionals and 1,800 companies from over 50 countries. The conference annually attracts leading dealmakers from biotech, pharma and finance. David Bonnafous, Chief Operating Officer, in charge of Business Development & Strategic Alliances, will attend the conference. We would be pleased to meet with you during BIO-Europe. To schedule a meeting, please send an email to contact@mcsaf.fr. 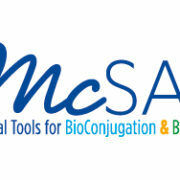 McSAF recognized as Young Innovative Company, regarding its own R&D programs related to Bioconjugates Chemistry, and specifically Antibody Drug Conjugates (ADCs). BioTechnoCentre Meeting, oct 13-14th 2016, Domaine de Seillac (41), France. http://mcsaf.fr/wp-content/uploads/2016/09/BioTechnoCentre-2.jpg 312 500 David Bonnafous http://mcsaf.fr/wp-content/uploads/2016/06/logo_mcsaf.png David Bonnafous2016-10-13 14:52:382016-10-19 14:06:43BioTechnoCentre Meeting, oct 13-14th 2016, Domaine de Seillac (41), France.